– The Clippers were coming off a highly emotional 103-98 come-from-behind victory over Oklahoma City on Wednesday. Then they bolted to a 17-point lead over the Hawks with 10:20 left in the second quarter. It was a recipe for disaster. The Clippers, as it sometimes happens under these circumstances, suddenly hit emotional bottom and they were just never the same the rest of the way. – Hack-a-DJ played a role in this loss as DeAndre Jordan was forced to shoot 17 free throws. He made only seven. 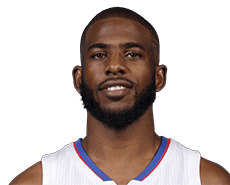 This greatly contributed to the Clippers’ 60.7 percentage (17 of 28) from the free-throw line. The Hawks made 85 percent (17 of 20) of their free throws. Jordan did score 17 points, grab 11 rebounds, make four steals and block five shots. – The Clippers committed a total of 19 turnovers – 18 player, one team. Point guard Chris Paul had four of them in an uncharacteristically sloppy performance. “I had some bad turnovers tonight …,” he said afterward. Paul scored 17 points, but he shot just 6 of 16. – It also didn’t help the Clippers (40-21) that their best 3-point shooter – J.J. Redick – made just 2 of 7 from beyond the arc, just 4 of 13 overall from the field. Redick is still shooting 47.5 percent (151 of 318), but he’s fallen from No. 1 in the league to No. 2 behind San Antonio’s Kawhi Leonard, who is shooting 47.8 percent (108 of 226) from distance. – The Clippers had no answer for Atlanta’s Paul Millsap. All he did was scored 20 points on 8 of 14 shooting and grab a whopping 18 rebounds. He also had five assists and three steals. His effort helped the Hawks (35-28) outrebound the Clippers 53-41. J.J. Redick is a terrific shooter, but he has never been in the 50-40-90 club. That’s shooting at least 50 percent overall from the field, at least 40 percent from 3-point range and at least 90 percent from the free-throw line. 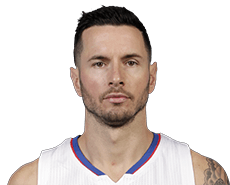 Redick has shot at least 90 percent from the free-throw line five times during his career, which is in its 10th season. He has shot at least 40 percent from beyond the arc three times, but he’s never shot 50 percent overall. Redick has been ultra-hot from 3-point range this year, shooting an incredible 49.1 percent (81 of 165). He’s shooting 48.5 percent overall and 87.6 percent from the free-throw line. Redick admitted at practice Tuesday that he would like to join this club before he retires.He knows it won’t be easy. Heading into Wednesday’s games, only Kawhi Leonard of San Antonio had a higher percentage from 3-point range than Redick. He was shooting 50 percent (67 of 134). The Clippers play Wednesday night at Portland, San Antonio will host Utah. 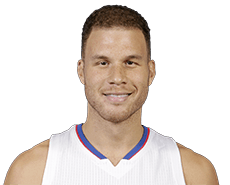 Blake Griffin scored 13 points and Chris Paul had 10 as the Clippers were tied with the host San Antonio Spurs 55-55 at halftime on Friday. The Clippers (16-10) shot 55.6 percent from the field overll, 54.5 (6 of 11) from 3-point range. LaMarcus Aldridge led the Spurs (22-5) with 12 points and Kawhi Leonard had 10. San Antonio shot 51.1 percent – 66.7 (6 of 9) from beyond the arc.